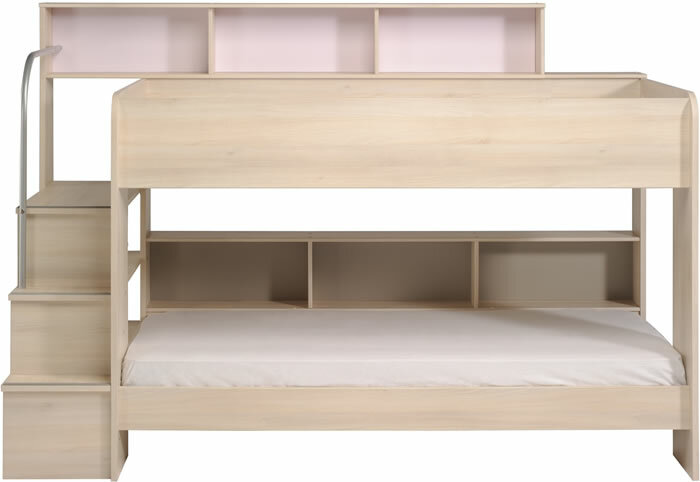 The Kids Avenue Bibop 2 bunk bed in an acacia finish by Parisot features reversible soft pink and cappuccino coloured shelving back panels, and a sturdy 3 step staircase with a metal hand rail for safe and easy access to the top bunk. 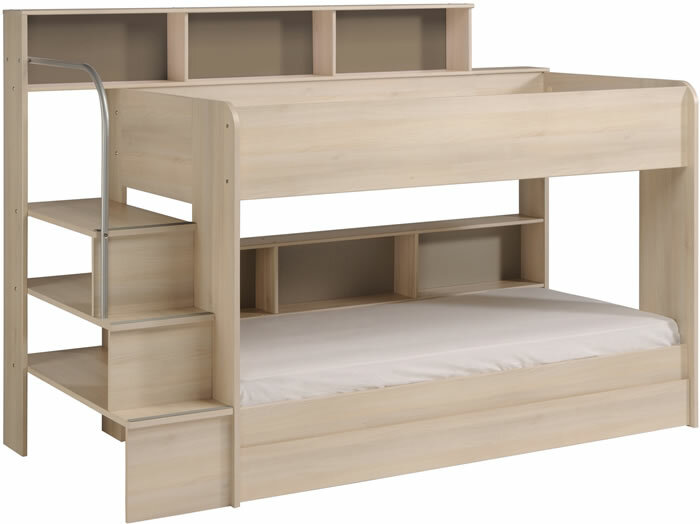 Below the staircase are two open shelves with access from the bottom bunk with additional storage space below the shelves which is perfect for heavier larger items. 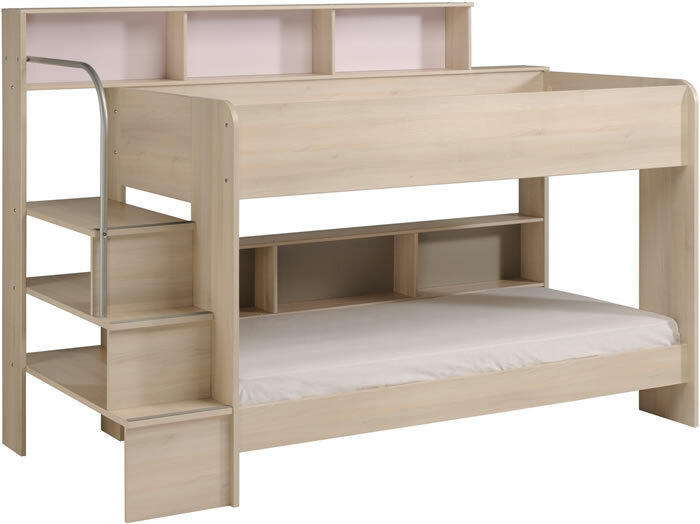 For handy bedside storage the acacia bibop top and bottom bunks offer 3 open front shelving areas with the choice of soft pink or cappuccino back panels and a full width shelf above. 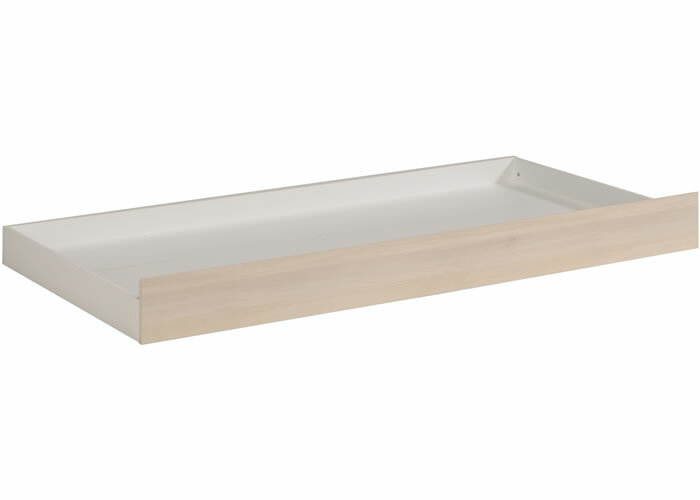 For additional sleeping capacity an optional trundle drawer and foam mattress is available or it can be used as an under-bed drawer for extra bedroom storage. For ease of use and for additional stability the Parisot Bibop 2 under bed drawer is fitted with 8 wheels. The Bibop 2 by Parisot was introduced to the Kids Avenue range this year to replace the popular Bebop and Kurt bunk beds.